If there's anything I love in this world, it's an addictive rhythm game. 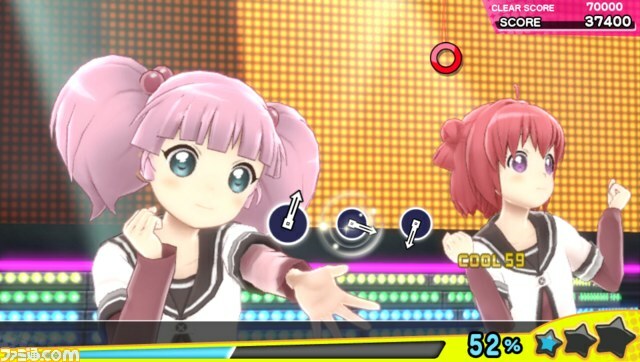 That's why I've got my eye on Sega's Miracle Girls Festival, basically a Hatsune Miku Project Diva clone. I'm not too familiar with the characters featured in the trailer, but it's got enough sweet J-pop for me to be convinced to plunk down some money on it for an import review. It's headed for the Vita in Japan this December, and while there's no concrete word just yet of a Western release, considering Sega's interest in bringing games over like Dengeki Bunko and the rest of the Miku titles, it could very well be a hit over here in the West. I'll buy a few, if only to get more songs with a Miku-like twist. And just look how cute it is. I think I'm getting diabetes from the video alone.